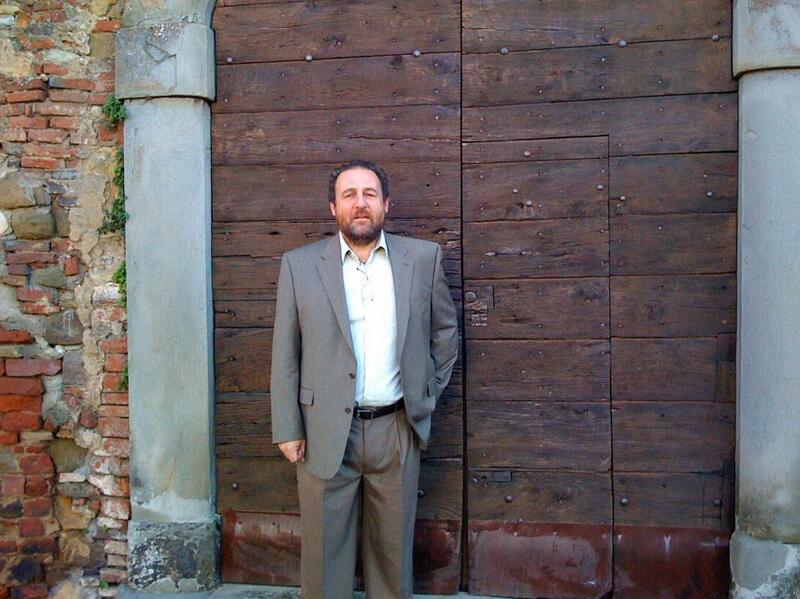 New Jersey Winery 'Hopewell Valley Vineyards' founder and wine maker Sergio Neri in Tuscany. How did you come to the decision of starting Hopewell Valley Vineyards? First of all, I wanted to do something that was personally fulfilling. Originally I was thinking of planting other types of crops like tomatoes but then because of our tradition and our family history with vineyards, well you know, I naturally started to wonder if you could even grow quality wine grapes in New Jersey. I had never thought about it before then, I knew you could grow grapes pretty much everywhere with a temperate climate, but I didn't know that much about New Jersey wine making history. So I started doing my research and I contacted Rutgers University, and a professor there told me that yes, there's actually a New Jersey Wine Growers Association, and that Rutgers contributes to the association with their expertise and knowledge on the Garden State’s agriculture, geology, etc. I went to the meeting, I met other members and wine growers who started New Jersey wineries, and I realized that yes they're already vineyards in New Jersey. This is possible. Then I did some research by myself, and found out that New Jersey was actually very developed in the United States in the 1800s in terms of wine grape production. But then the phylloxera infection devastated the crops and then Prohibition later completely stalled the rest of production, reducing it to nearly nothing. Wine production then reignited much stronger in California, while New Jersey winery industries lagged behind in the shadows of the post-Prohibition. So I knew that wine grapes had been grown, historically speaking; the New Jersey climate and soil were appropriate for many wine grape varieties. Not all, but many great ones. On a plot of farm land that was originally purchased to build our family house, I thought I'd plant just a couple of vines to see how they fared. I started by planting vines based on a viticultural selection that seemed to be most suitable for New Jersey's macro climate but also for right here on the farm's microclimate. I have to say that the vineyard started on very limited space. It was twenty two acres, but within those acres are wetlands and other spaces unsuitable for vines, plus the house, so I really filled up the land to its fullest potential. Only later on was the adjacent plot of fifty acres purchased, which is how we expanded the vines and the business to become a New Jersey winery for the long run!.. Owning and operating a New Jersey winery is definitely challenging - but its also always exciting. How did you choose which varieties you wanted to grow and produce specifically for a New Jersey winery? Being European, I picked some vinifera varieties that I felt matched the potential ampelography of the farm. The thing about growing grapes in Italy, France, Germany, all of Europe in general is that there is such a strong history, regional wisdom, local traditions that have held tightly throughout the ages so that each wine region has already established through the centuries what wine varieties grow best there and what does not. Whereas in a new wine region, unguided by these established traditions, there is still a lot of experimentation - and that's truly exciting for me. There was not a really strong reference to follow on what’s best to grow or not grow - which in some ways, for a new vineyard establishing itself, is a bit unsettling. But in other ways you feel a stronger connection and ownership of the decisions you do make in terms of the wines you choose to produce. You don’t continue to do it one way simply because it's been done that why for generations or centuries. You break from the pack and set out to do something new - but also something of value. So I got some advice, and blended what I knew from Italy, and what I gathered through my talks with Rutgers and other grape growers in New Jersey and New York. A lot has been done lately. Supertuscans growing french varieties, like Cabernet in Tuscany, where its sort of Sangiovese domain, and Cabernet doing really well and creating Supertuscans that are different. But in particular in New Jersey, there was little to guide winegrowers. I looked at the weather, the average length of growing season, and I excluded some varietals, like Cabernet Sauvignon, which needs a longer growing season for the fruit to ripen that what is possible for us here in central New Jersey. And instead of planting it to produce local but sub-par cabernet, we source the grapes from California but do the wine making here. And we're pleased with that. We think in this way we’re best respecting all the wines we produce - both the local varieties that thrive here as well as the non-local varieties that we source. And all the vines I chose for Hopewell Valley Vineyards were known to be 'hardy' - which doesn't just mean they can withstand low temperatures, which is of course critical, but also that they have an appropriate length of growing season, and resistance to certain diseases. So I excluded some varieties, because I thought they wouldn't have enough time to mature the fruit, then I checked into hybrid varieties, because I knew they've already proven very successful in the region, like Vidal Blanc and Traminette. Some were just purely things that I liked - which is where you have to be careful not to making costly mistakes. I really like Pinot Grigio for example. Barbera too, being that it is the local wine of my mother’s village, so I'm emotionally attached to it for obvious reasons. Plus I think it’s just a stellar wine that works well in a New Jersey winery, especially for a red wine. What wines have grown best in New Jersey? Chardonnay is one I really was convinced from the onset that it’d work really well here. It needs slightly cooler climates, cool evenings, but the only problem is that it tends to bud earlier than other vines, making it more susceptible to late frosts. But other than that it does really well at the vineyard. If I had to guess, in twenty to fifty years, New Jersey could be exceptionally well known - on the global stage - for Chardonnays and sparkling wines. If I had to bet my money on something - I'd probably say that. But beyond that, Chambourcin for us I consider to be a true blessing. I don't see any other variety adapting so well and making more superior wines here in our terroir, right here in Hopewell Township, I’m not even talking about New Jersey, or the Northeast, or the East Coast, I'm talking about on a very local level. Something right here just clicked with Chambourcin, something happened that doesn’t happen every day, and you can’t even really imagine or plan when or how or if it will happen. Chambourcin has done exceptionally well here. we've extracted some incredible colors, and tannins and we've been awarded for this, with the governors cup, best of wine in its class in California twice, which, you know...there's a lot of Chambourcin being produced these days! What is the HVV wine that represents all the HVV line, which would it be? If I think of a wine that could be l'ammiraglia (flagship), or the Vino Ammirgalia for our New Jersey winery, that would probably be our Chambourcin. Chambourcin for red, and Vidal Blan for the white. First of all, because they both are perfect for our micro-climate here at the farm, and they're 100% estate wines, and I believe that they are exceptional wines. But I love all the wines we make - and Rosso Della Valle I consider the close brother to the Chambourcin. and then the vinifera varities, like Barbera and Cabernet they're traditional wines. I'm also really proud of our barbera here. Chardonnay also is great...hmm..it's a hard choice! What’s your guiding principle with making wines? I had never really been so exposed to making so many types of wines, as what we're doing here in New Jersey. My father produced Brunello di Montalcino wines in Tuscany at our family's vineyard, but it isn't the Italian tradition to make so many types of wines from the same vineyard. When I started I didn't imagine that we would be growing and producing so many types of wines and then I realized that the wine market in New Jersey is a young market, and young markets are still exploratory - and offering several varieties helps new wine drinkers understand the differences, and develop a personal taste and preferences to wines. And it’s great to be able, as a wine maker, to educate and guide others who are just beginning to get involved in the enjoyment of wine. Visitors learn a lot out of the winery tastings, tours, and classes that we offer at Hopewell Valley Vineyards. Now as for producing so many varieties, there aren't that many significant differences in the wine producing side - the fruit does most of the work in this regard. The underlying wine making process and principles remain the same - what may change is the timing of harvest, maceration, fermentation, what yeast you choose to use, etc. Like for Pinot Grigio and Pinot Noir, the grape just falls apart after a certain point on the vine. Chardonnay matures really easily, and if you're not protective of your vines the birds will eat the grapes up before you even realize it. And also there is some yeast selection choices to be made. I learned from communication with other wineries and wine makers, both on the East Coast and in Italy - asking them how they run their operations, what wine making methods work for them, and then adapting those conversations and insights for our unique farm and circumstances over a period of several years. Because again, Pinot Grigio grown in Veneto is different than Pinot Grigio here. So I'm always in the learning mode - I never stop and think that ‘this is as far as it can go’ - I'm always excited to push my personal boundaries, experiment, study new methodologies, incorporate the ones the I think will work for me and the vineyard. This is programmed inside of me - that's just the type of person I am.